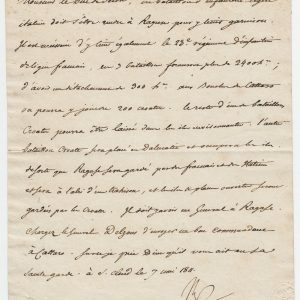 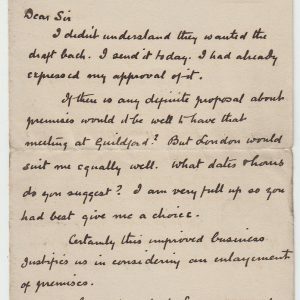 Printed letter, enclosing a Circular, signed ‘J.B.Rogerson’, addressed to Peter Rylands. With the original Circlular advertising his Poetical Works. 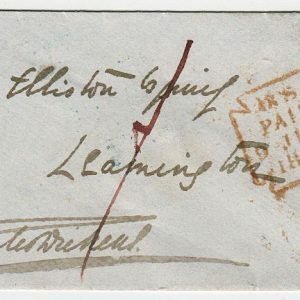 Letter, envelope and Circular, each neatly mounted and in good condition. 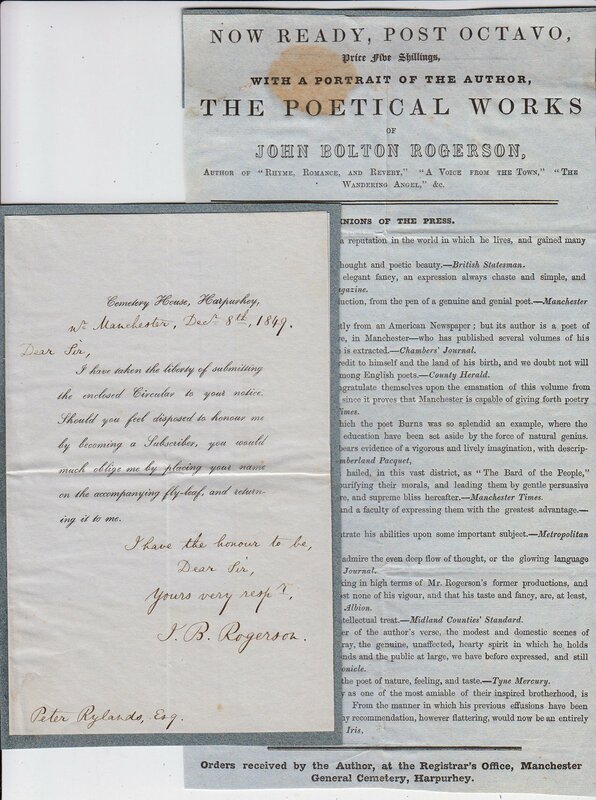 Cemetery Hosue, Harpurkey, near Manchester, 8 December 1849 John Bolton Rogerson (1809-1859), poet.